MARTIN, Tenn. – Julia Knaggs, of Gallatin, took advantage of a unique opportunity to learn about agriculture in South Africa with The National FFA Organization earlier this year, and the insights she found will influence the rest of her career. Knaggs, a sophomore studying agricultural business at the University of Tennessee at Martin, traveled with a group of other state FFA officers to spend two weeks learning about world agriculture in South Africa’s capitol city of Johannesburg. National FFA organizes this annual trip to South Africa largely because of the wide variety of agricultural practices conducted in that country. Knaggs did not grow up in an agricultural family, but became involved in FFA after moving to Tennessee while in high school. “I just fell in love with the agriculture industry and this idea of feeding a growing population. That’s when I really started to see that agriculture (isn’t) just about farming…. I saw this aspect of service and dedication to your community, and I just fell in love with that,” she said. Observing agricultural markets in South Africa opened Knaggs’ eyes to the different ways food and resources can be grown around the world – and showed her that there is more than one suitable way to provide food for a population. Knaggs was also inspired by students she met through the African Leadership Academy – a competitive, two-year program for African students from across the continent. Students in the academy learn about entrepreneurship and leadership and conduct two-year research and innovation projects to better the people of their respective villages. “One of our tour guides – his name was Lane, and he is from Ethiopia – he said they had a problem with their refrigerators where the power kept going out. … So he made refrigerators for his project that could run without electricity and keep food longer. This 18-year-old kid had completely reengineered this refrigerator…. The kids there were just incredible. It was cool to see how there were very different from us in some aspects … but they also had some of the same passions. They were driven and ambitious the same way we were,” she said. “(This trip) definitely opened my eyes both to the difference and similarities between all of us. Even at UT Martin, we may not realize it, but there are so many different cultures all around us. So often we think of cultural diversity as just the way we look or where we are from, but there’s just so many little differences that we really don’t think about,” she added. 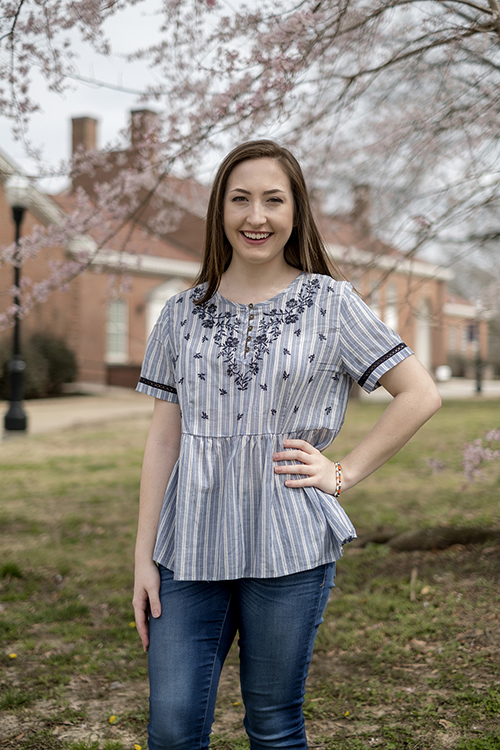 Knaggs plans to apply to graduate schools after finishing her UT Martin degree and hopes to study agricultural economics to prepare for a career influencing agricultural policy. She is sure her experiences in South Africa will help her create policies to benefit not only large corporate farming operations, but smaller American farmers and their overseas counterparts as well.